VRAYLAR is given orally once daily and can be taken with or without food. Because of the long half-life of cariprazine and its active metabolites, changes in dose will not be fully reflected in plasma for several weeks. Prescribers should monitor patients for adverse reactions and treatment response for several weeks after starting VRAYLAR and after each dosage change [see Warnings and Precautions (5.5) and Clinical Pharmacology (12.3)]. 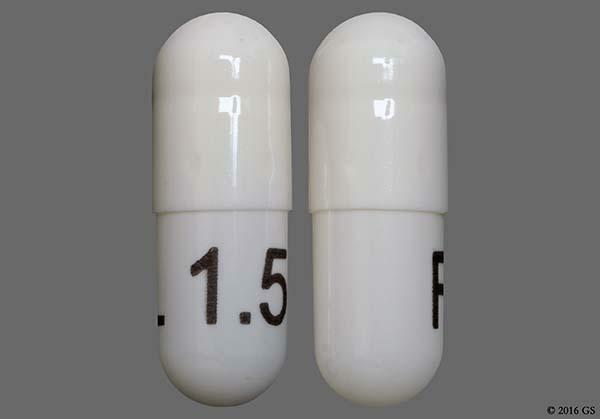 Schizophrenia: The recommended dose range is 1.5 mg to 6 mg once daily. The starting dose of VRAYLAR is 1.5 mg. The dosage can be increased to 3 mg on Day 2. Depending upon clinical response and tolerability, further dose adjustments can be made in 1.5 mg or 3 mg increments. Manic or Mixed Episodes Associated with Bipolar I Disorder: The recommended dose range is 3 mg to 6 mg once daily. The starting dose of VRAYLAR is 1.5 mg and should be increased to 3 mg on Day 2. Depending upon clinical response and tolerability, further dose adjustments can be made in 1.5 mg or 3 mg increments. Dosage Adjustments for CYP3A4 Inhibitors and Inducers: CYP3A4 is responsible for the formation and elimination of the major active metabolites of cariprazine. Dosage recommendation for patients initiating a strong CYP3A4 inhibitor while on a stable dose of VRAYLAR: If a strong CYP3A4 inhibitor is initiated, reduce the current dosage of VRAYLAR by half. For patients taking 4.5 mg daily, the dosage should be reduced to 1.5 mg or 3 mg daily. For patients taking 1.5 mg daily, the dosing regimen should be adjusted to every other day. When the CYP3A4 inhibitor is withdrawn, VRAYLAR dosage may need to be increased [see Drug Interactions (7.1)]. 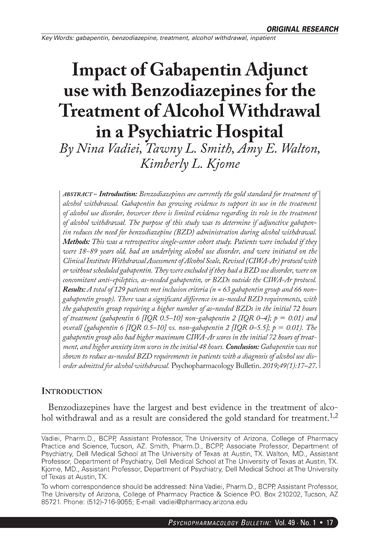 Treatment Discontinuation: Following discontinuation of VRAYLAR, the decline in plasma concentrations of active drug and metabolites may not be immediately reflected in patients’ clinical symptoms; the plasma concentration of cariprazine and its active metabolites will decline by 50% in ~1 week [see Clinical Pharmacology (12.3)]. There are no systematically collected data to specifically address switching patients from VRAYLAR to other antipsychotics or concerning concomitant administration with other antipsychotics. VRAYLAR is contraindicated in patients with history of a hypersensitivity reaction to cariprazine. Reactions have ranged from rash, pruritus, urticaria, and events suggestive of angioedema (e.g., swollen tongue, lip swelling, face edema, pharyngeal edema, and swelling face). Increased Mortality in Elderly Patients with Dementia-Related Psychosis: Antipsychotic drugs increase the all-cause risk of death in elderly patients with dementia-related psychosis. Analyses of 17 dementia-related psychosis placebo-controlled trials (modal duration of 10 weeks and largely in patients taking atypical antipsychotic drugs) revealed a risk of death in the drugtreated patients of between 1.6 to 1.7 times that in placebo-treated patients. 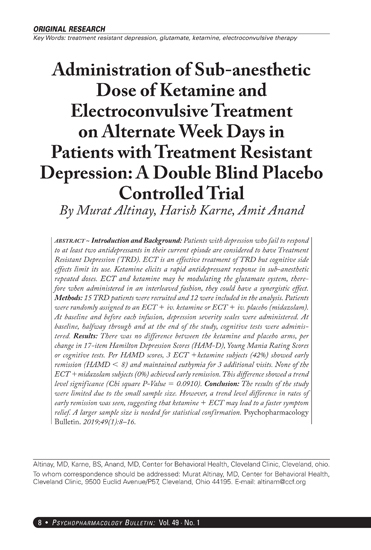 Over the course of a typical 10-week controlled trial, the rate of death in drug-treated patients was about 4.5%, compared to a rate of about 2.6% in placebo-treated patients. Cerebrovascular Adverse Reactions, Including Stroke, in Elderly Patients with Dementia-Related Psychosis In placebo-controlled trials in elderly subjects with dementia, patients randomized to risperidone, aripiprazole, and olanzapine had a higher incidence of stroke and transient ischemic attack, including fatal stroke. VRAYLAR is not approved for the treatment of patients with dementia-related psychosis [see Boxed Warning, Warnings and Precautions (5.1)]. Neuroleptic Malignant Syndrome (NMS): Neuroleptic Malignant Syndrome (NMS), a potentially fatal symptom complex, has been reported in association with administration of antipsychotic drugs. Clinical manifestations of NMS are hyperpyrexia, muscle rigidity, delirium, and autonomic instability. Additional signs may include elevated creatine phosphokinase, myoglobinuria (rhabdomyolysis), and acute renal failure. If NMS is suspected, immediately discontinue VRAYLAR and provide intensive symptomatic treatment and monitoring. Tardive Dyskinesia Tardive dyskinesia, a syndrome consisting of potentially irreversible, involuntary, dyskinetic movements, may develop in patients treated with antipsychotic drugs, including VRAYLAR. The risk appears to be highest among the elderly, especially elderly women, but it is not possible to predict which patients are likely to develop the syndrome. Whether antipsychotic drug products differ in their potential to cause tardive dyskinesia is unknown. Late-Occurring Adverse Reactions Adverse events may first appear several weeks after the initiation of VRAYLAR treatment, probably because plasma levels of cariprazine and its major metabolites accumulate over time. As a result, the incidence of adverse reactions in short-term trials may not reflect the rates after longer term exposures [see Dosage and Administration (2.1), Adverse Reactions (6.1), Clinical Pharmacology (12.3)]. Metabolic Changes: Atypical antipsychotic drugs, including VRAYLAR, have caused metabolic changes, including hyperglycemia, diabetes mellitus, dyslipidemia, and weight gain. Although all of the drugs in the class to date have been shown to produce some metabolic changes, each drug has its own specific risk profile. Hyperglycemia and Diabetes Mellitus Hyperglycemia, in some cases extreme and associated with ketoacidosis or hyperosmolar coma or death, has been reported in patients treated with atypical antipsychotics. Assess fasting plasma glucose before or soon after initiation of antipsychotic medication, and monitor periodically during long-term treatment. Schizophrenia In the 6-week, placebo-controlled trials of adult patients with schizophrenia, the proportion of patients with shifts in fasting glucose from normal (<100 mg/dL) to high (≥126 mg/dL) and borderline (≥100 and <126 mg/dL) to high were similar in patients treated with VRAYLAR and placebo. In the long-term, open-label schizophrenia studies, 4% patients with normal hemoglobin A1c baseline values developed elevated levels ( ≥6.5%). 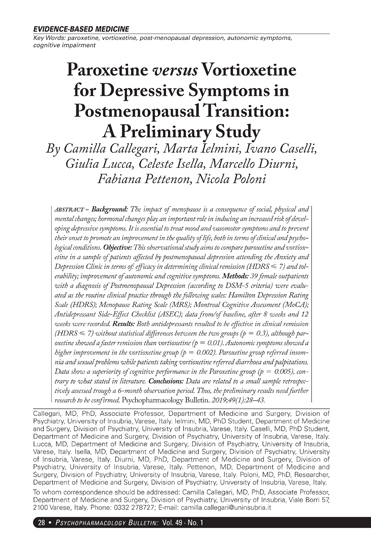 Bipolar Mania In the 3-week, placebo-controlled trials of adult patients with bipolar disorder, the proportion of patients with shifts in fasting glucose from normal (<100 mg/dL) to high (≥126 mg/dL) and borderline (≥100 and <126 mg/dL) to high were similar in patients treated with VRAYLAR and placebo. In the long-term, open-label bipolar disorder studies, 4% patients with normal hemoglobin A1c baseline values developed elevated levels (≥6.5%). Dyslipidemia Atypical antipsychotics cause adverse alterations in lipids. Before or soon after initiation of antipsychotic medication, obtain a fasting lipid profile at baseline and monitor periodically during treatment. Schizophrenia In the 6-week, placebo-controlled trials of adult patients with schizophrenia, the proportion of patients with shifts in fasting total cholesterol, LDL, HDL and triglycerides were similar in patients treated with VRAYLAR and placebo. Bipolar Mania In the 3-week, placebo-controlled trials of adult patients with bipolar disorder, the proportion of patients with shifts in fasting total cholesterol, LDL, HDL and triglycerides were similar in patients treated with VRAYLAR and placebo. Weight Gain Weight gain has been observed with use of atypical antipsychotics, including VRAYLAR. 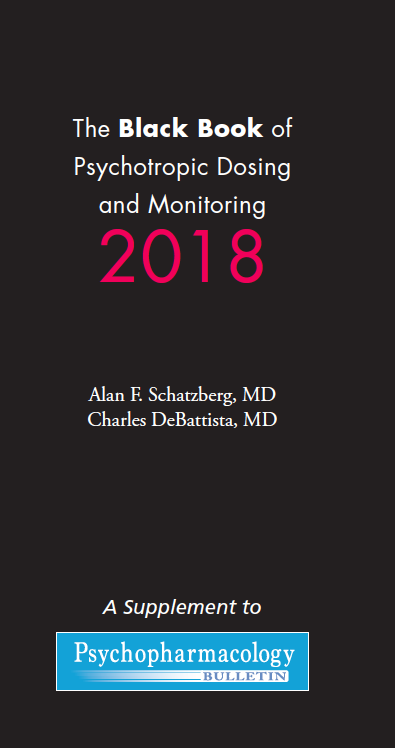 Monitor weight at baseline and frequently thereafter. Leukopenia, Neutropenia, and Agranulocytosis Leukopenia and neutropenia have been reported during treatment with antipsychotic agents, including VRAYLAR. Agranulocytosis (including fatal cases) has been reported with other agents in the class. Possible risk factors for leukopenia and neutropenia include pre-existing low white blood cell count (WBC) or absolute neutrophil count (ANC) and history of drug-induced leukopenia or neutropenia. In patients with a pre-existing low WBC or ANC or a history of drug-induced leukopenia or neutropenia, perform a complete blood count (CBC) frequently during the first few months of therapy. In such patients, consider discontinuation of VRAYLAR at the first sign of a clinically significant decline in WBC in the absence of other causative factors. Orthostatic Hypotension and Syncope: Atypical antipsychotics cause orthostatic hypotension and syncope. Generally, the risk is greatest during initial dose titration and when increasing the dose. Symptomatic orthostatic hypotension was infrequent in trials of VRAYLAR and was not more frequent on VRAYLAR than placebo. Syncope was not observed. Seizures: Like other antipsychotic drugs, VRAYLAR may cause seizures. This risk is greatest in patients with a history of seizures or with conditions that lower the seizure threshold. Conditions that lower the seizure threshold may be more prevalent in older patients. Potential for Cognitive and Motor Impairment VRAYLAR, like other antipsychotics, has the potential to impair judgment, thinking, or motor skills. Body Temperature Dysregulation: Atypical antipsychotics may disrupt the body’s ability to reduce core body temperature. Strenuous exercise, exposure to extreme heat, dehydration, and anticholinergic medications may contribute to an elevation in core body temperature; use VRAYLAR with caution in patient who may experience these conditions. Dysphagia: Esophageal dysmotility and aspiration have been associated with antipsychotic drug use. Dysphagia has been reported with VRAYLAR. VRAYLAR and other antipsychotic drugs should be used cautiously in patients at risk for aspiration.